Being Harry Potter has never been easy. And it isn’t much easier now, as we catch up with him nineteen years after the Battle of Hogwarts. These days, Harry is a husband, father of three school-age children, and an overworked employee at the Ministry of Magic. While he struggles with a personal history that refuses to stay in the past, his youngest son Albus must grapple with the weight of the family legacy he never asked for. 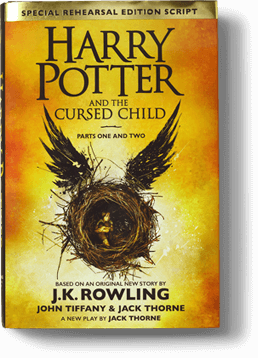 Based on an original new story by J.K. Rowling, John Tiffany and Jack Thorne, the play was scripted by Jack and directed by John. It received its world premiere in London’s West End on 30 July 2016.